The Sheep Whisperer: Sheep Baa's & the Bible! Sheep are very closely associated with the Bible & are mentioned more than 500 times in the Bible. The most obvious reason is that the society of that time period was agricultural. 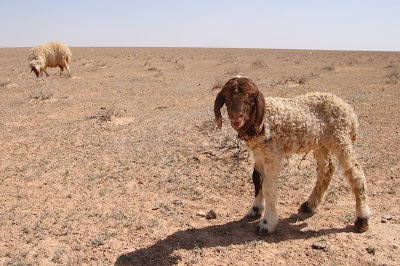 Nomads & the Hebrew people raised sheep as a means of support. Another reason sheep are mentioned so often in the Bible is because of their symbolic association with God's chosen people. 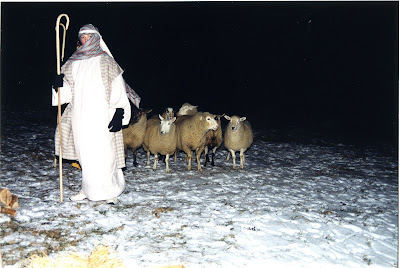 Did Ewe know that Shepherds work at night, too? Sheep are first mentioned in Genesis 4:3,4. The account also refers to mankind's first Shepherd. Adam & Eve gave birth to Abel who kept flocks & made his first offering, using fat portions from some of the firstborn of his flock. The Bible also includes some famous Shepherds, such as Abraham, Moses, & David. Psalm 23 was also penned by David, revealing his intimacy with the Chief Shepherd. Jacob Sheep giving TLC to a young lamb! Ewe know it's Vital for survival! This desert climate is rough ! Ewe need a Shepherd to help Ewe! The Bible also indicates that there are close relationships between Sheep & Shepherds. 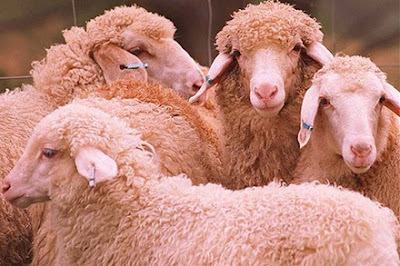 Sheep have a great memory for faces & voices. They remember either the good or bad events associated with both .The Bible verifies this fact with the words of Jesus in John 10:27; "My sheep listen to my voice; I know them & they follow me. " Sheep will follow the voice of the true Shepherd, for they know that He will protect them with his life! I love spending time with Ewe! Sheep were directly involved in the lives of the Patriarchs Abraham, Isaac, & Jacob. Christians & Jews both believe the Genesis account of Abraham's attempted sacrifice of Isaac in Genesis 22:(1-18). 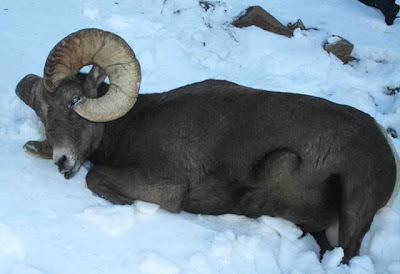 Once God saw Abraham's willingness to obey, God stopped Abraham from sacrificing Isaac by providing a sheep to sacrifice, in the form of a "ram", caught in the thicket. 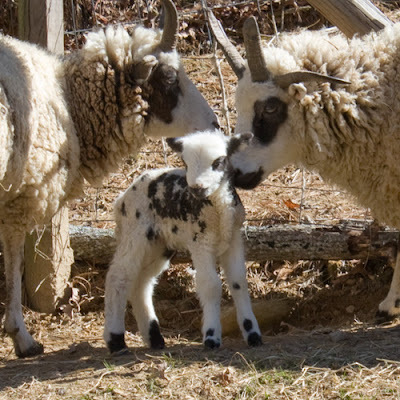 Jacob also bred spotted sheep in Gen.30:35, which are named Jacob sheep. Did Ewe know that I was sacrificed in Isaac's place? Sheep provided for some of the food for the "Passover" feast, & Jesus was referred to as the "Lamb of God". What a high honor to bestow upon such a supposedly "ordinary" animal. Ewe are truly "Blessed" in our heavenly Father's eyes! 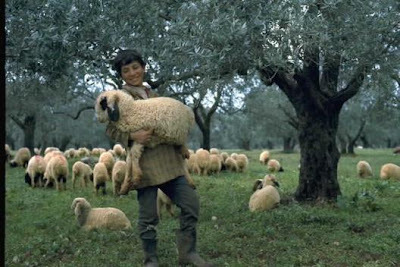 The Good Shepherd sees Ewe as very Blessed! Walk in that favor from above today & watch God do extraordinary things through Ewe! I wanted to see if I could have your permission to use one of your photos for a blog post I am doing. My email is thenoblewife@gmail.com. Hi Jacquelynne! Sure, help Ewerself! I pray the Noble Wife encourages many! God Bless Ewe!